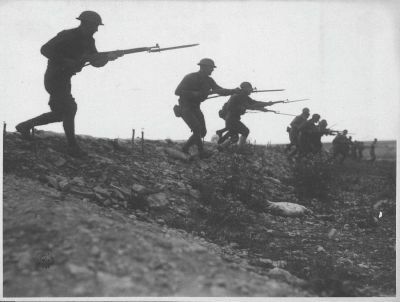 One hundred years ago this year, on July 28th, World War I began. Both the immediate and long term affects of the Great War were profound. In human life alone WWI resulted in 37 million military and civilian casualties, and arguably set the stage for the next conflict that nearly doubled those loses. Nothing would ever be the same again. The loss of life is still real here. Even in the tiny village of just 300 persons that I now call home in Hungary, there is a WWI memorial with the names of the village sons that died in this great conflict, oh so many decades ago. Living in Europe means these memories are not really history, but part of life today even to an American as myself. To many of those who are historically challenged (or are a product of the American educational system that probably never even got to that period in high school history class), many aspects of this conflict remain a mystery. How it happened, why it happened, or even exactly what happened that set off this carnage. The below humorous accounting of this grave and tragic event in world history has been going around the net for some time now**. While tongue in check though it may be, and naturally simplistic (and a bit inaccurate) in its content, it still gets across a lot of history that is so often lost in the details found elsewhere. Some may disagree with using humor to recount such a violent part of history, but humor, like war, is a human condition and one which can stealthily enlighten and educate: the humor engages us and we learn history in spite of ourselves. And, as we learn about history we may even start to see some eerie similarities between some events then and those transpiring today, albeit in slightly different geographical regions (and begs the question that even though we study history, why do we still seem to repeat it). Germany expresses its support for Austria’s point of view. Britain recommends that everyone calm down a bit. France and Britain punch Germany. Austria punches Russia. By now all the chairs are broken and the big mirror over the bar is shattered. Britain, France and America agree that Germany threw the first punch, so the whole thing is Germany’s fault. While Germany is still unconscious, they go through its pockets, steal its wallet, and buy drinks for all their friends. ** And with greatful appreciation to the unknown author who deserved to be recognised.